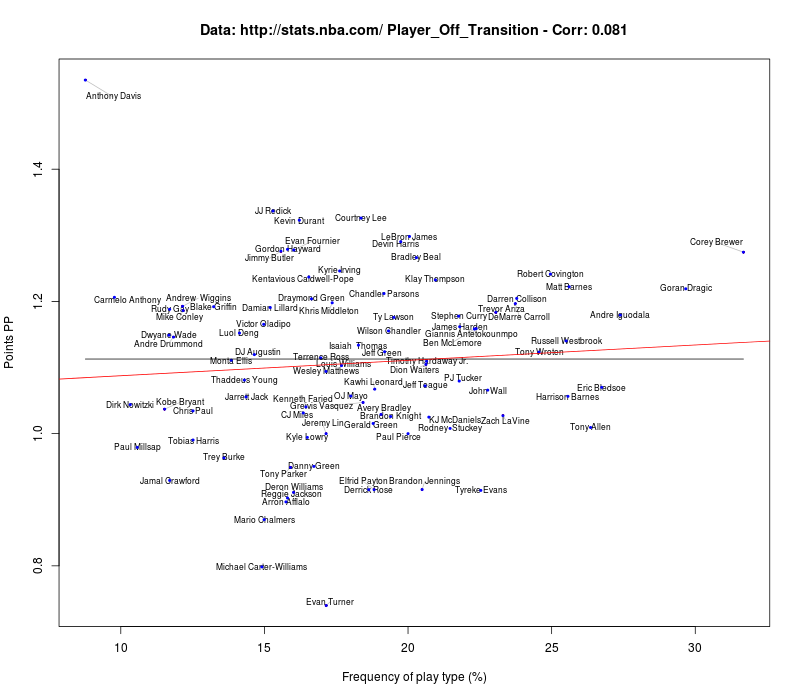 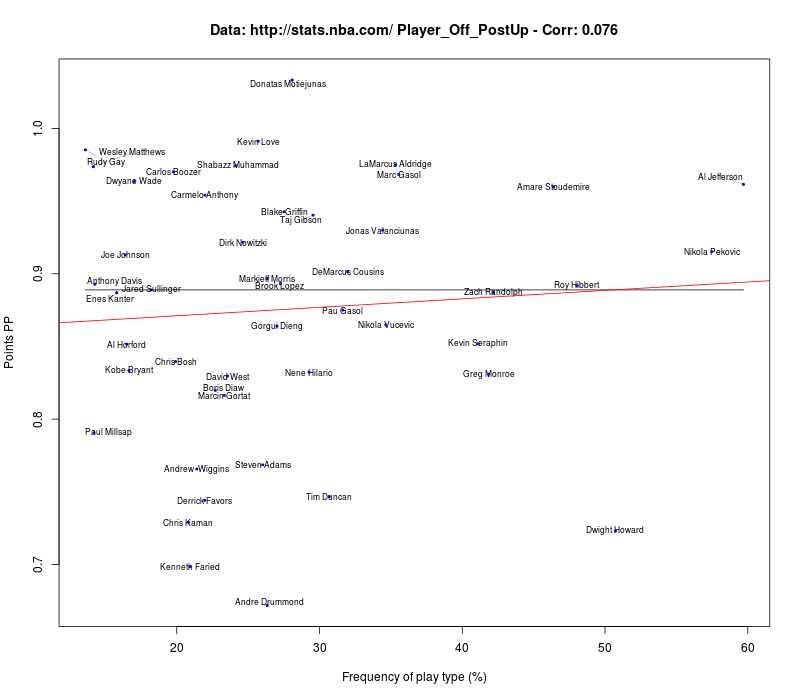 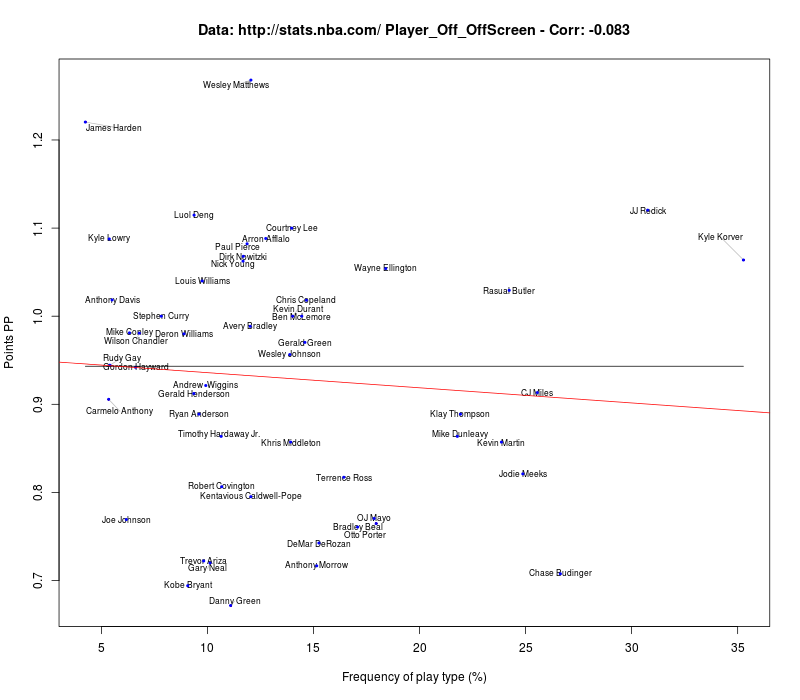 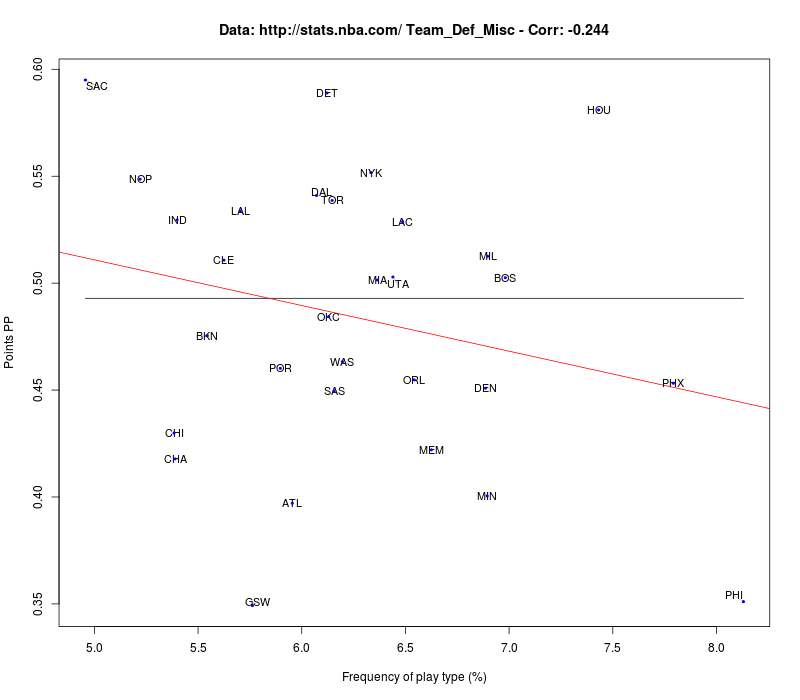 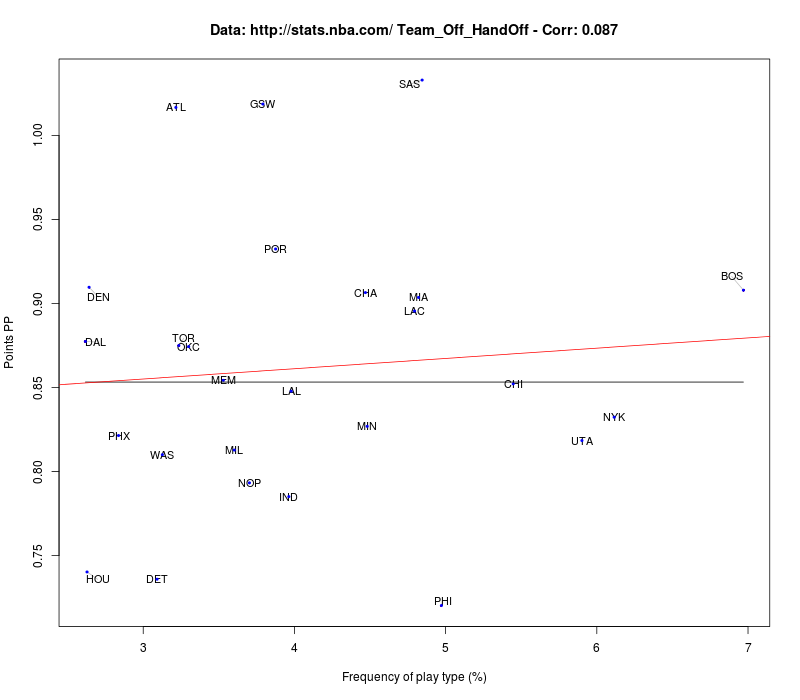 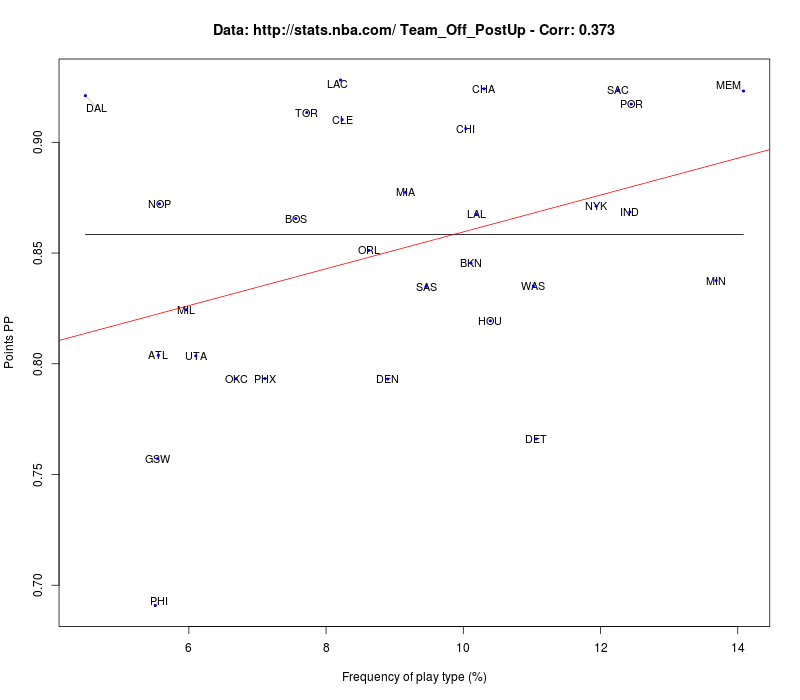 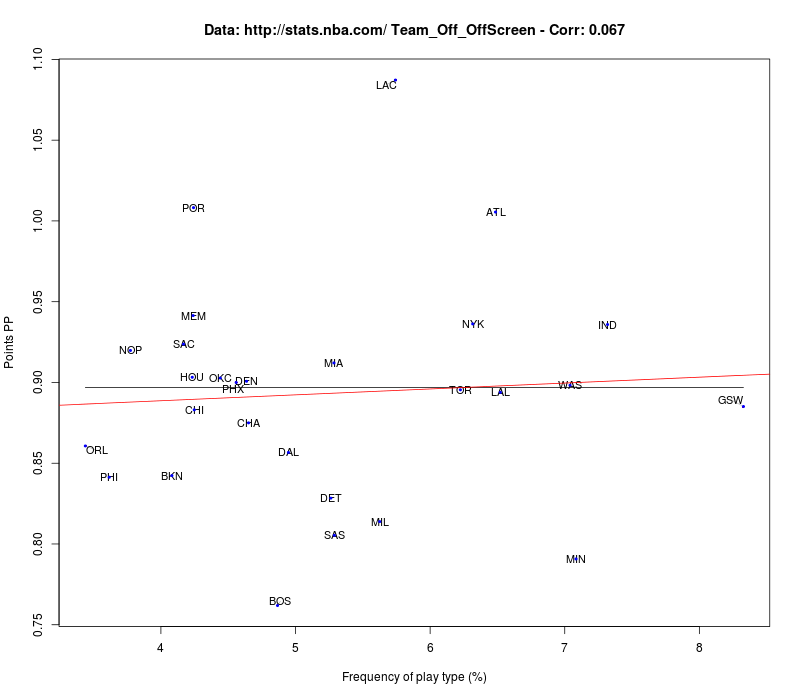 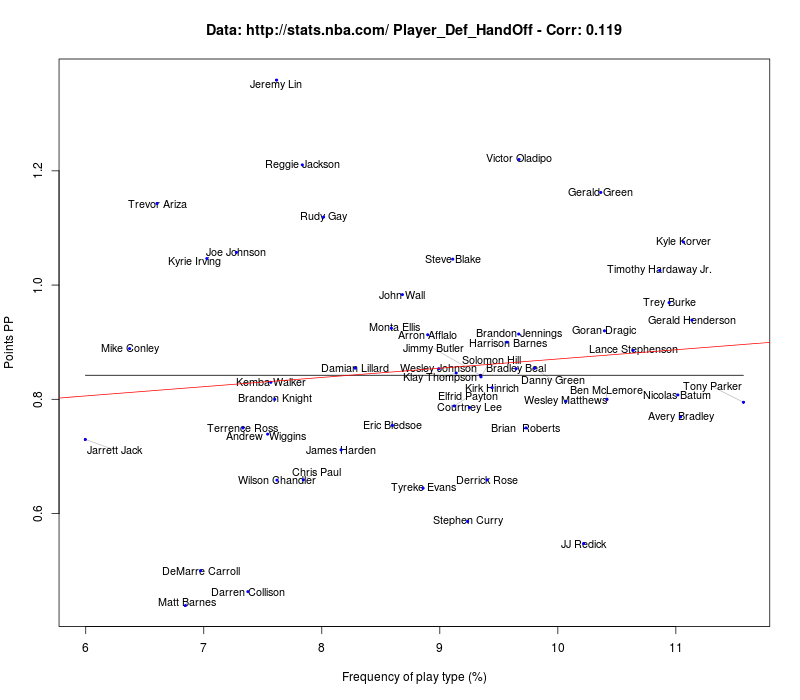 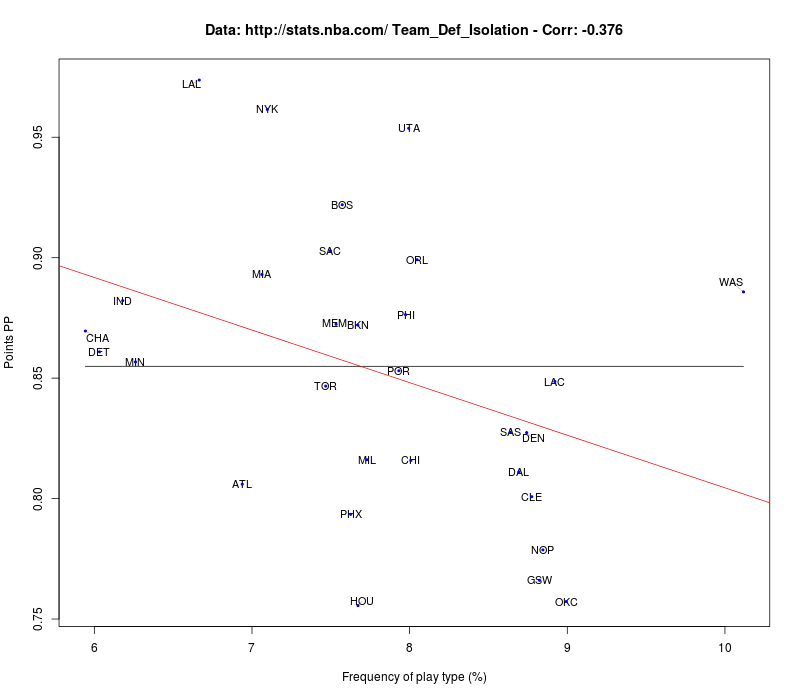 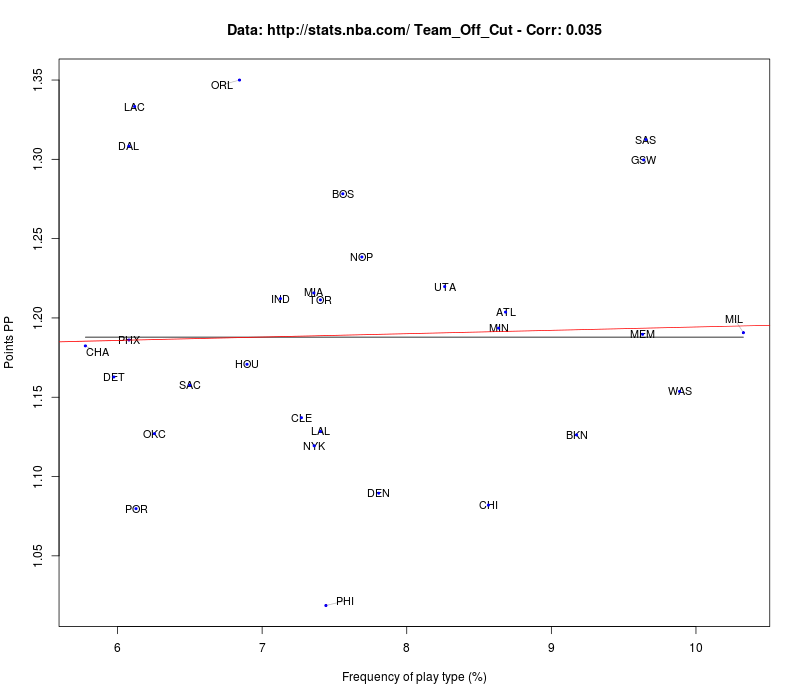 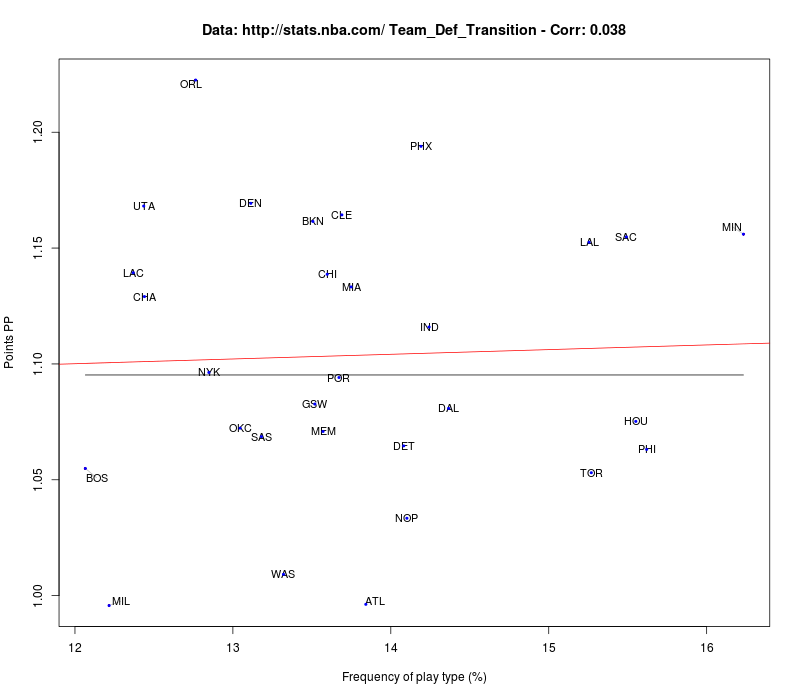 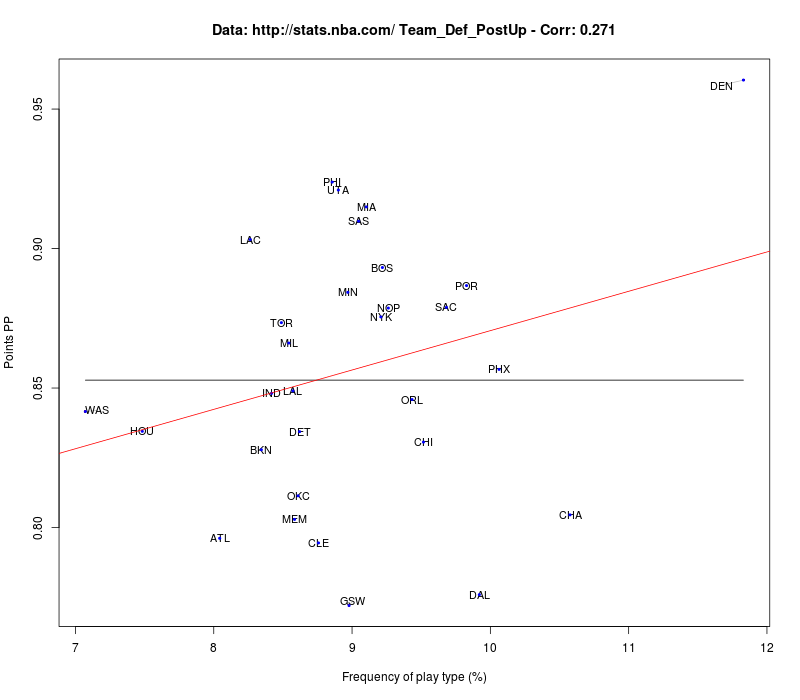 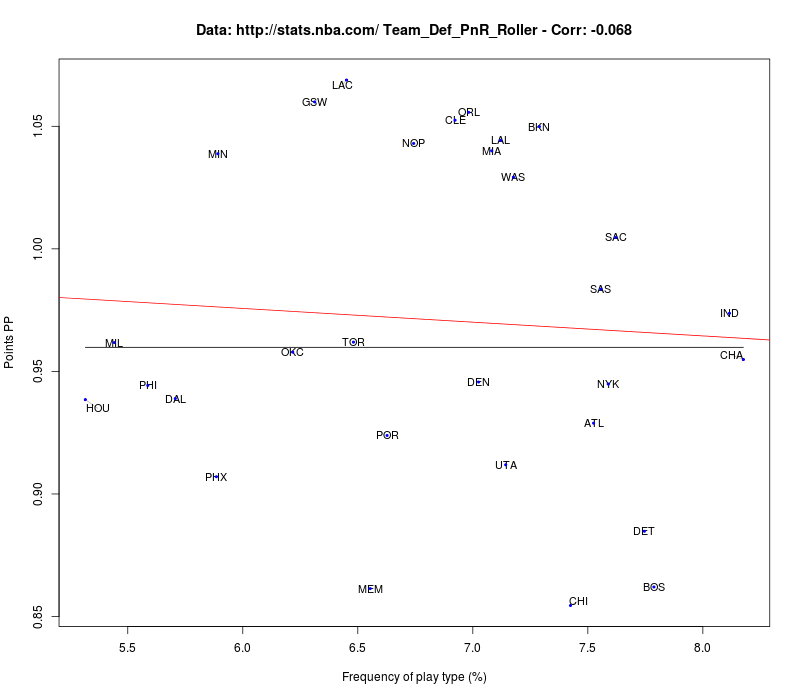 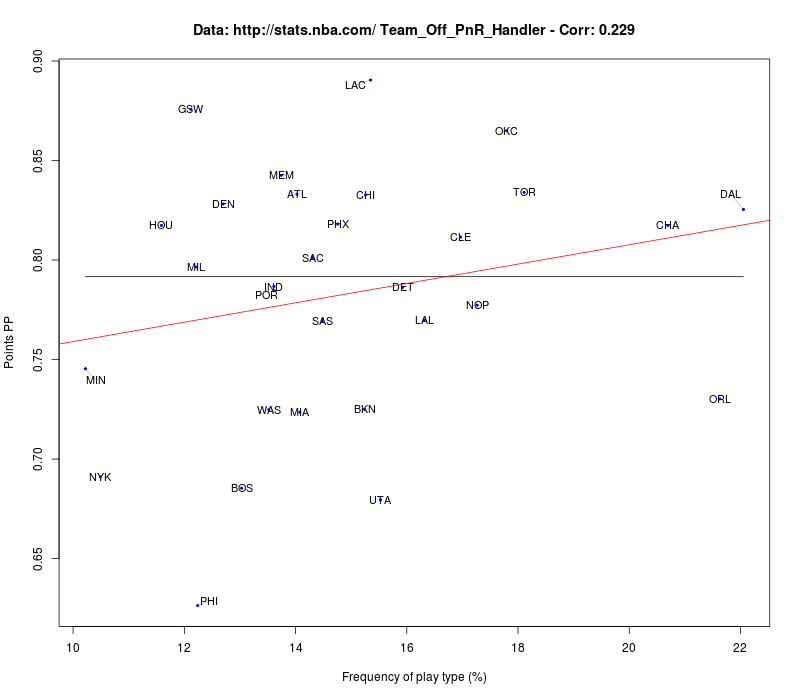 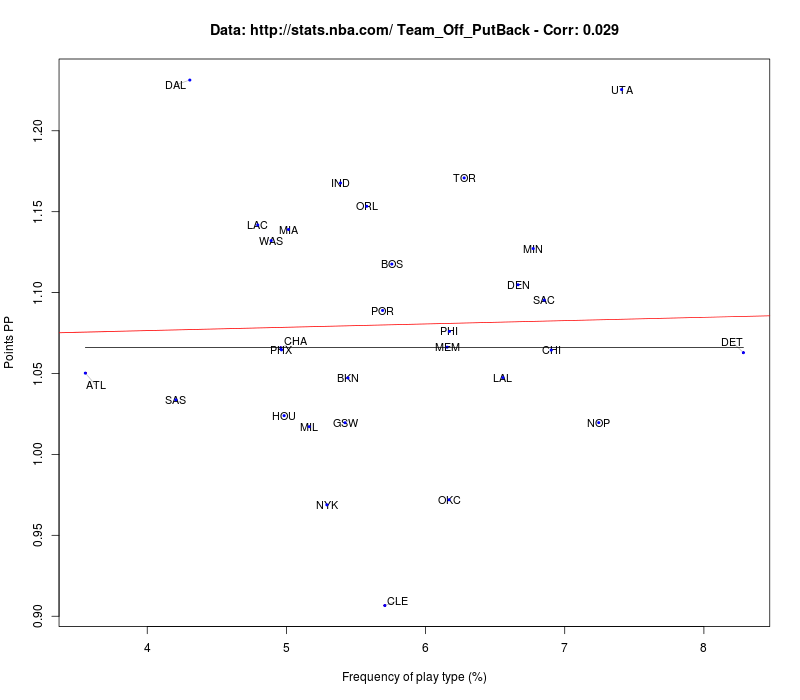 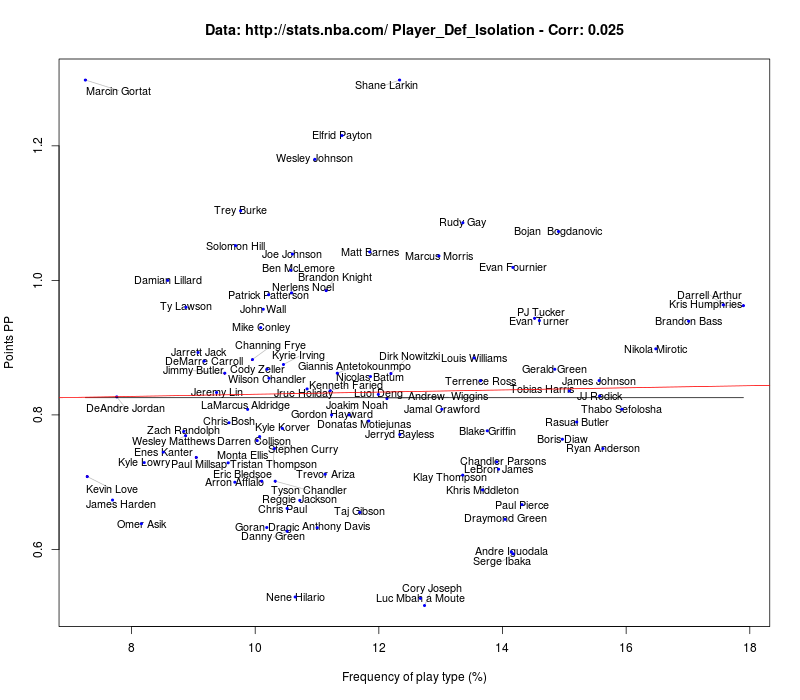 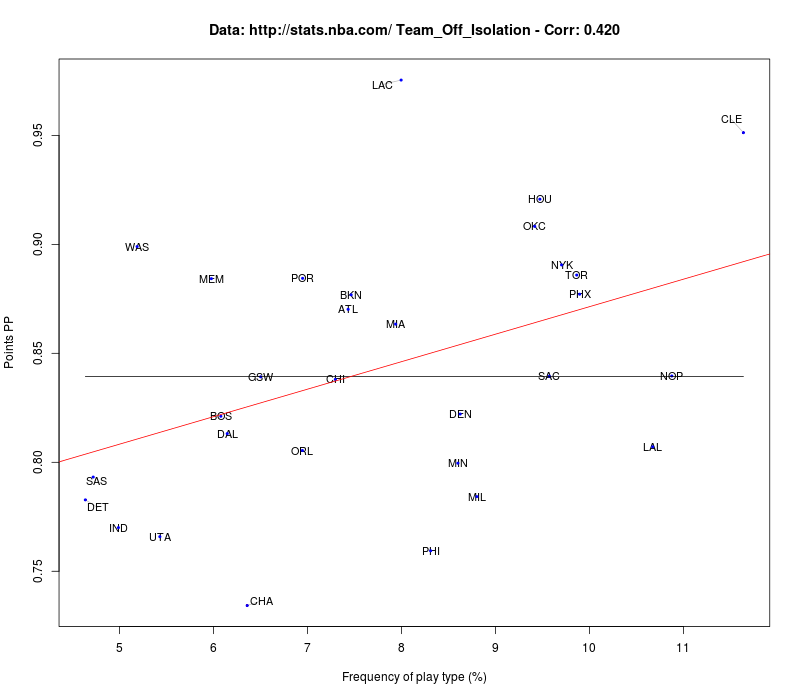 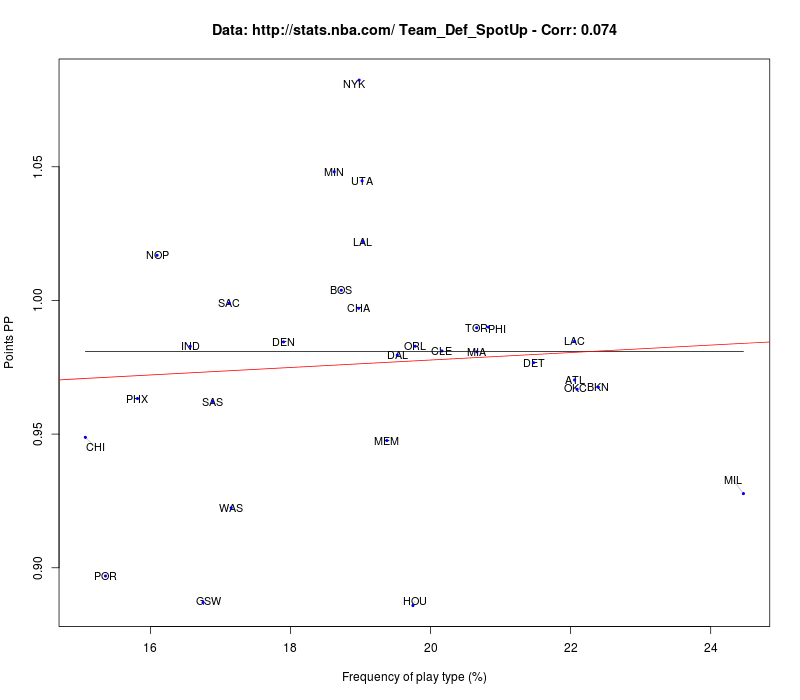 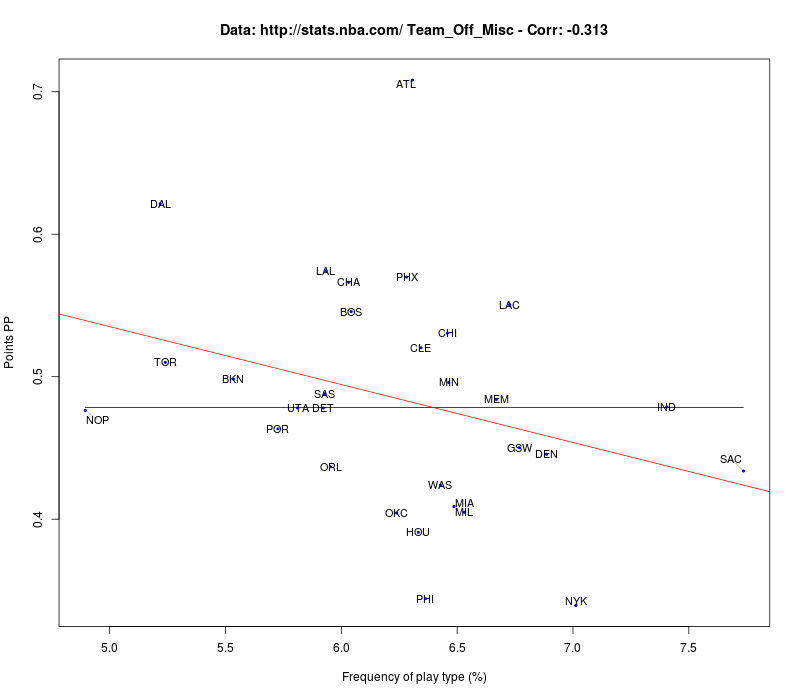 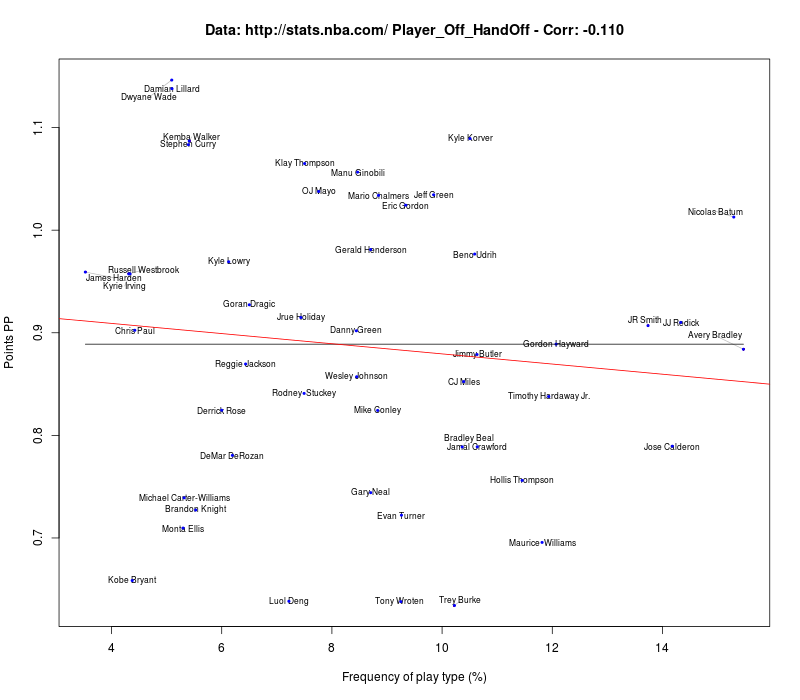 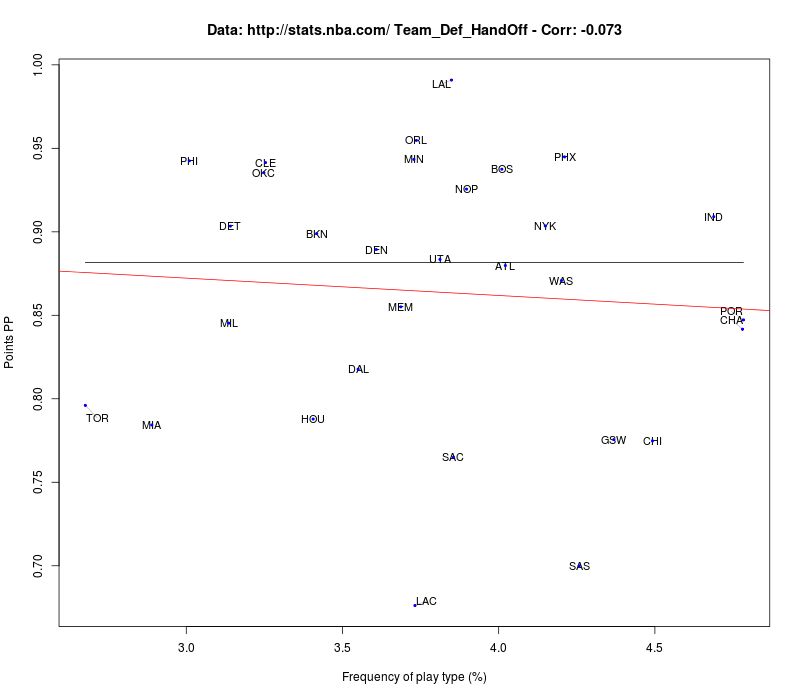 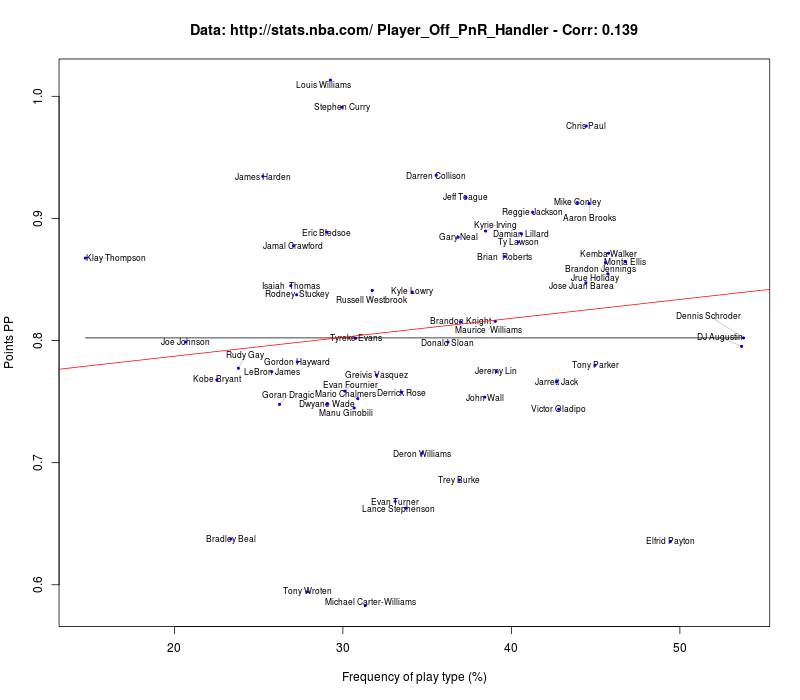 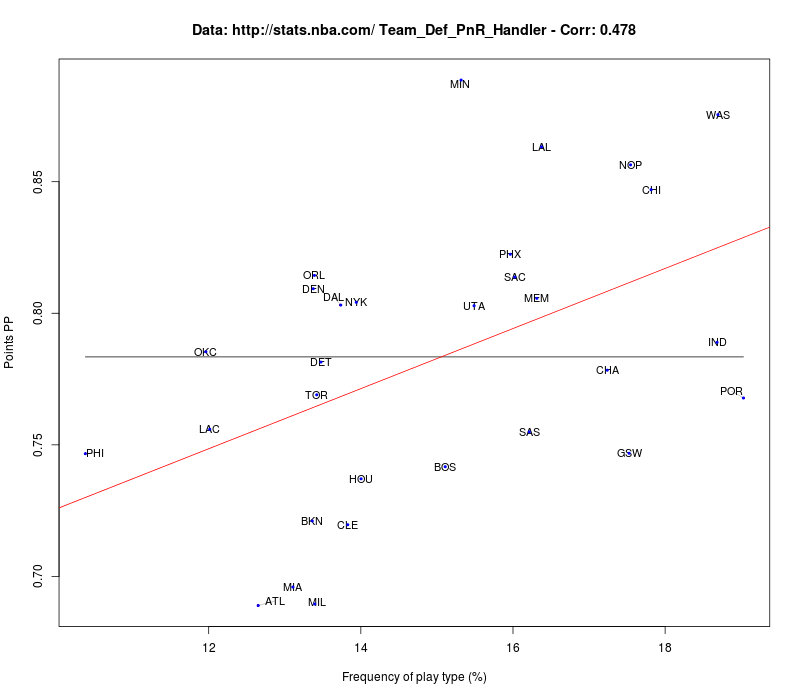 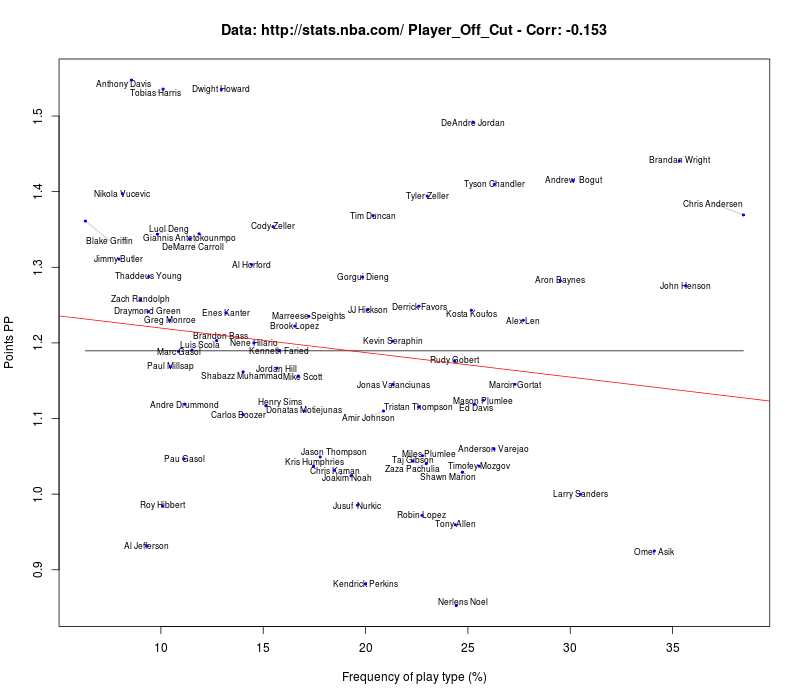 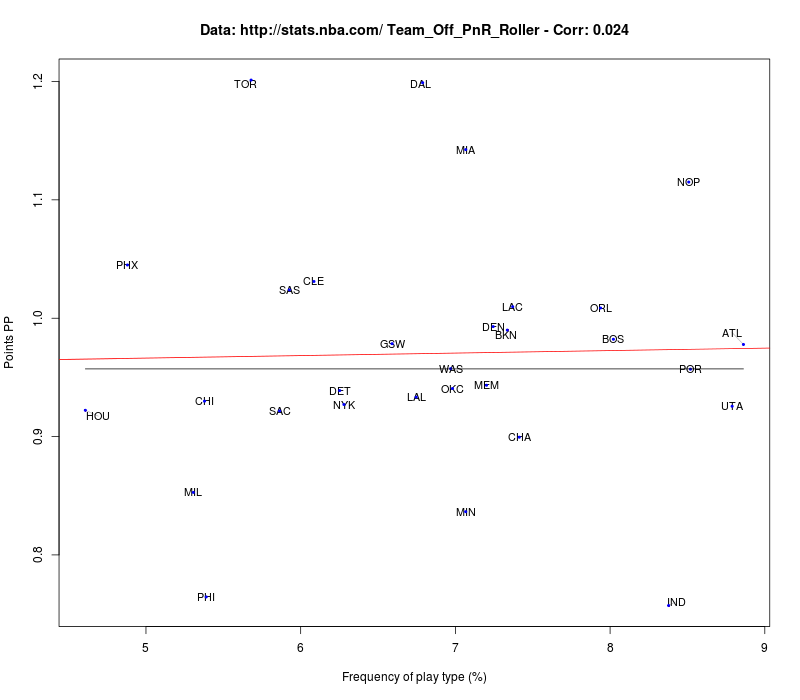 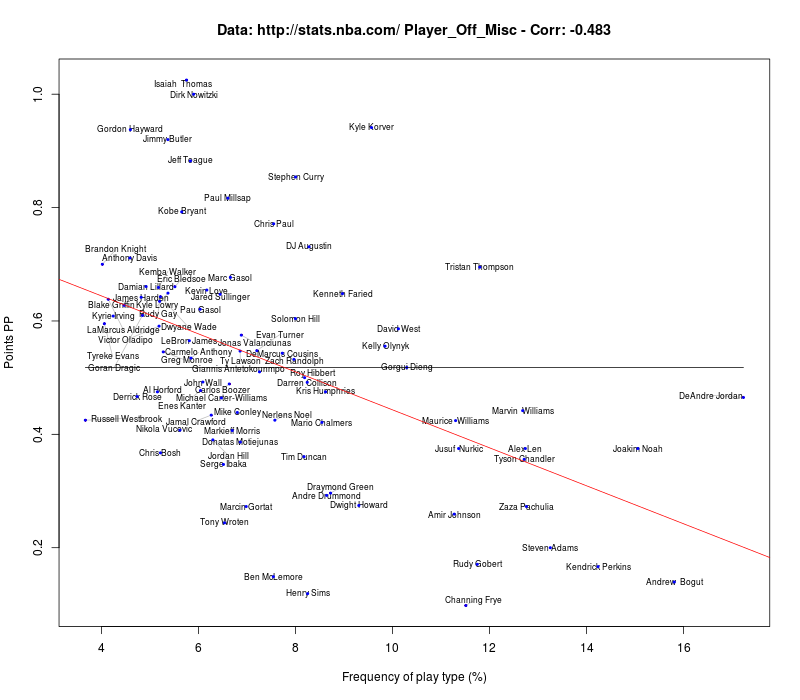 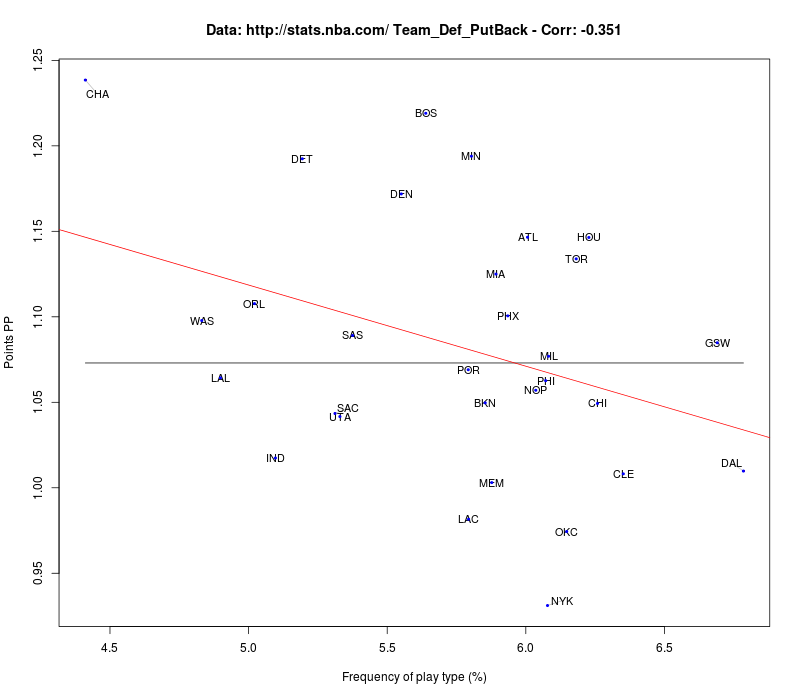 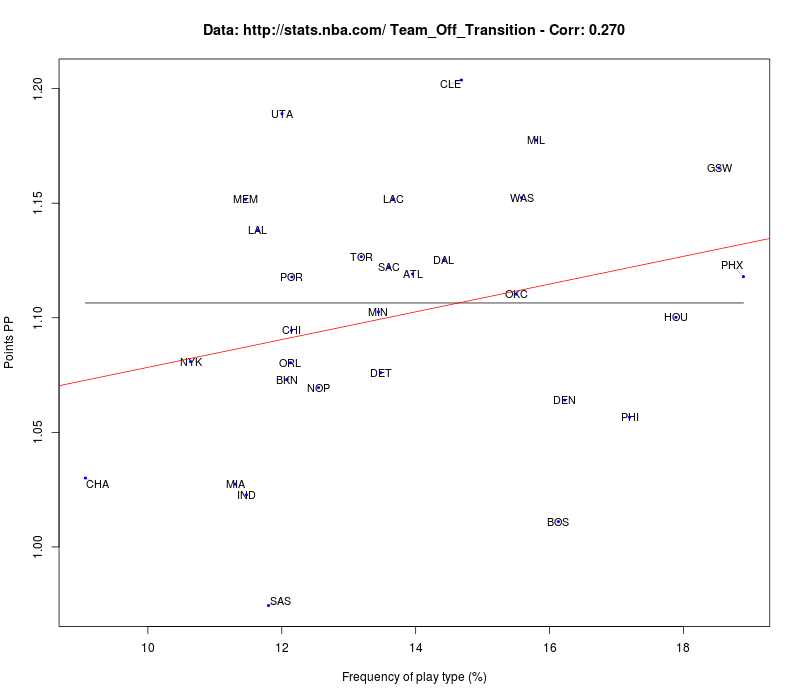 this is mostly a data dump after I looked at the new nba.com Synergy Sports data (next stop tracking data!). 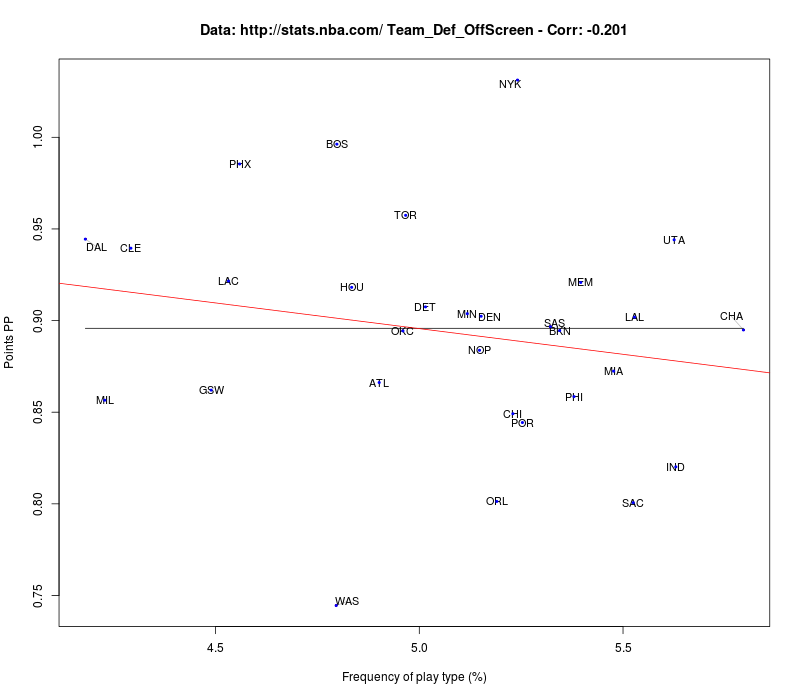 Feel free to use the plots. 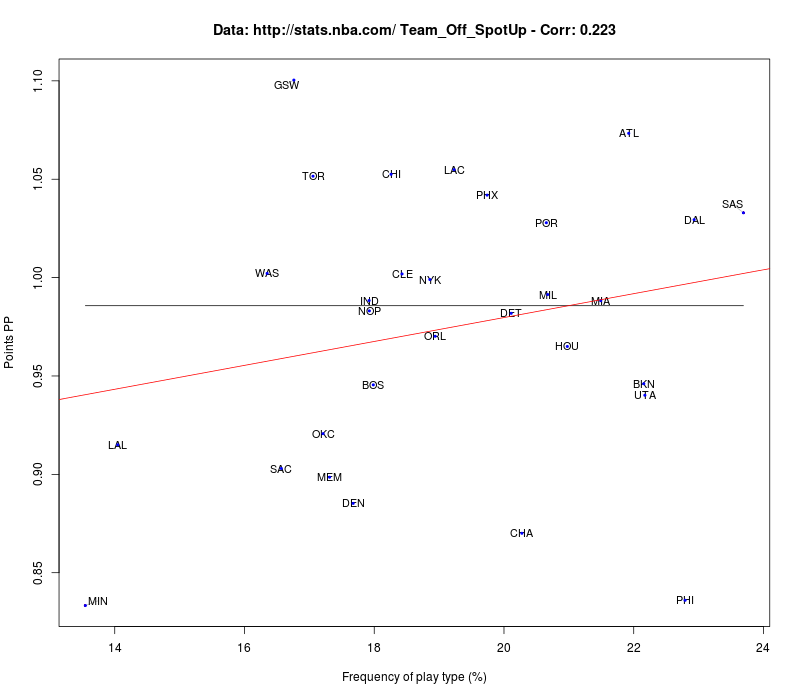 One personal note: The Synergy data can be easily wrongly interpreted. 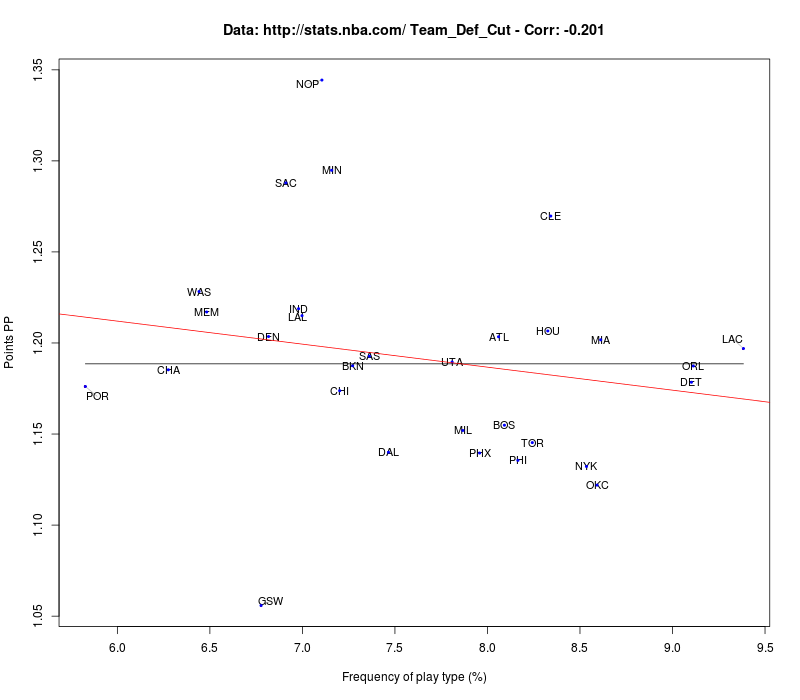 For example, a cut is mostly not a play itself. 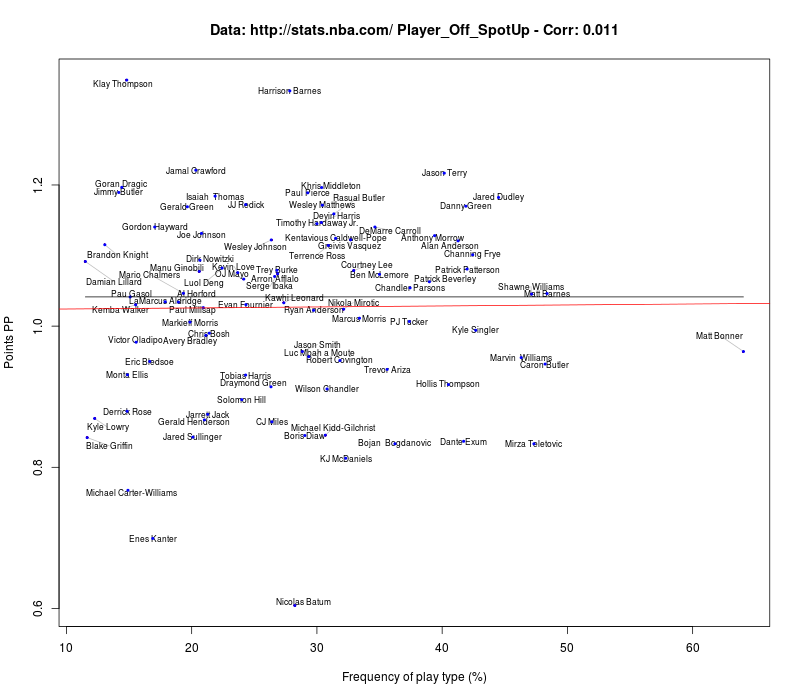 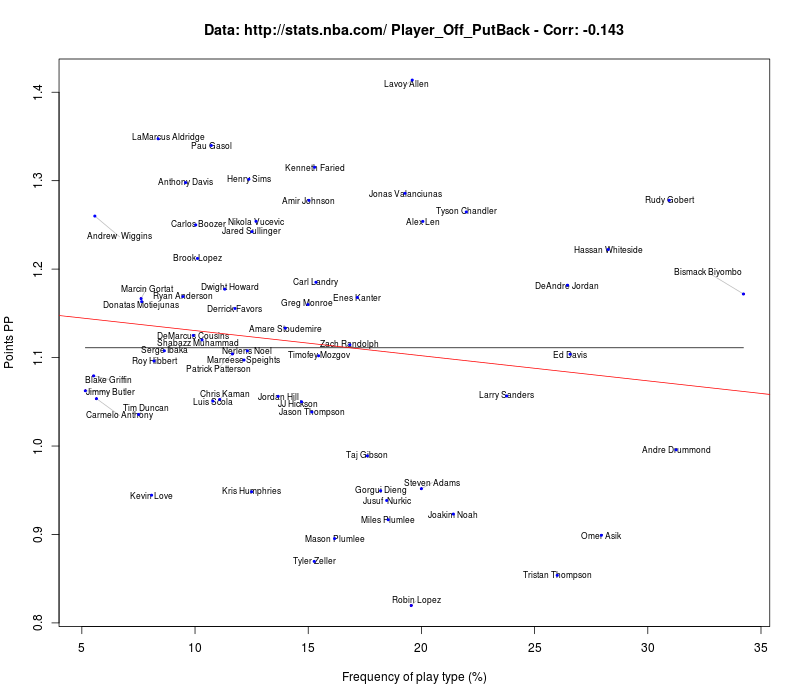 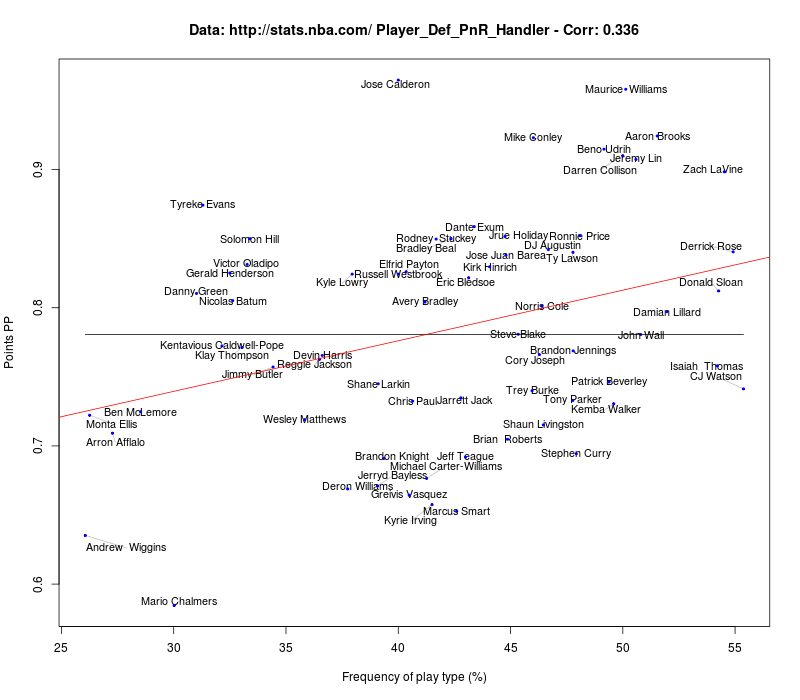 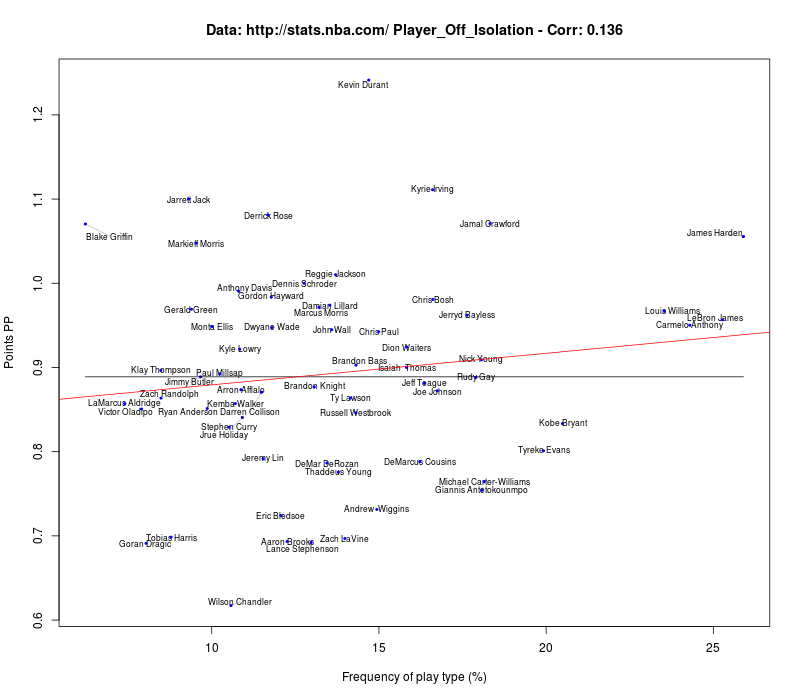 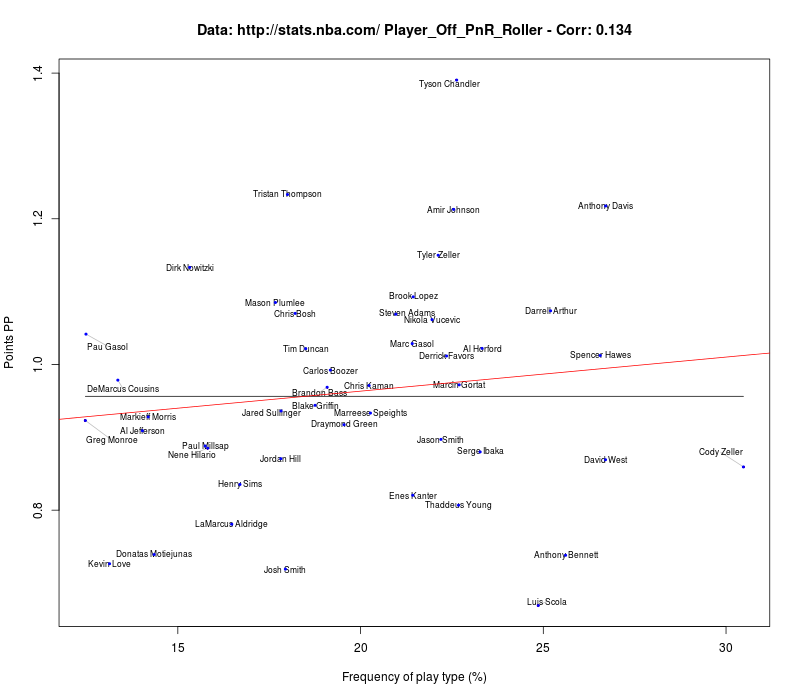 If you look at the players that attempt a lot of cuts, you find mainly center that most probably are beneficiaries from other stuff that is going on (cue to Blake Griffin throwing a lob to DeAndre Jordan).